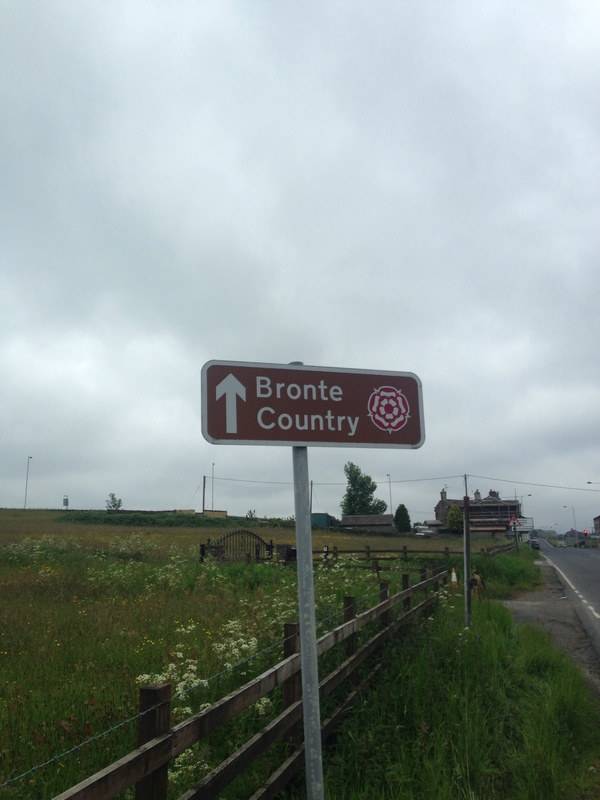 We had an early start, and set off from Haworth with the sun beating down upon us as we set a course for the final point in our journey: Sowerby Bridge, where Branwell Brontë once worked as a clerk on the railway. 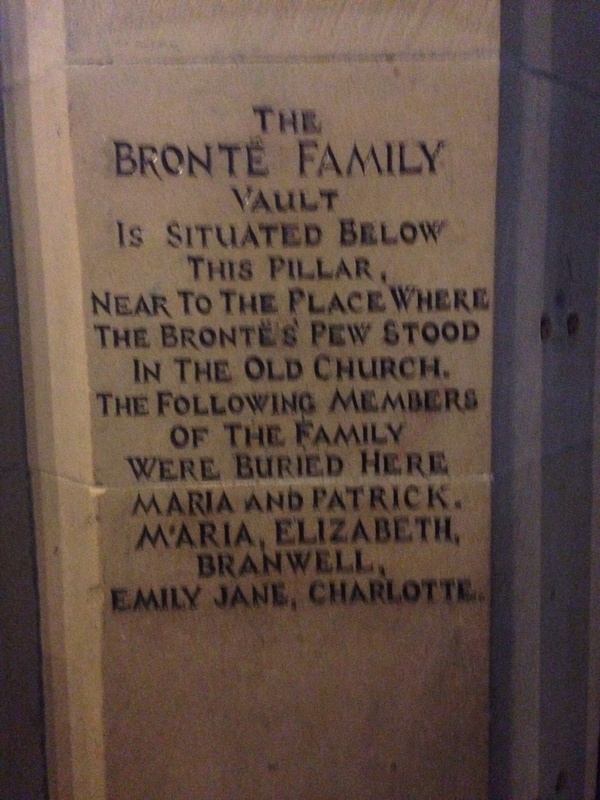 It isn’t just the Brontë connection that causes me to be fascinated by Haworth – it’s the fact that, visually, it has changed so little since their time, and the thought that a number of its inhabitants can boast local ancestry stretching back before the time of the famous literary family. 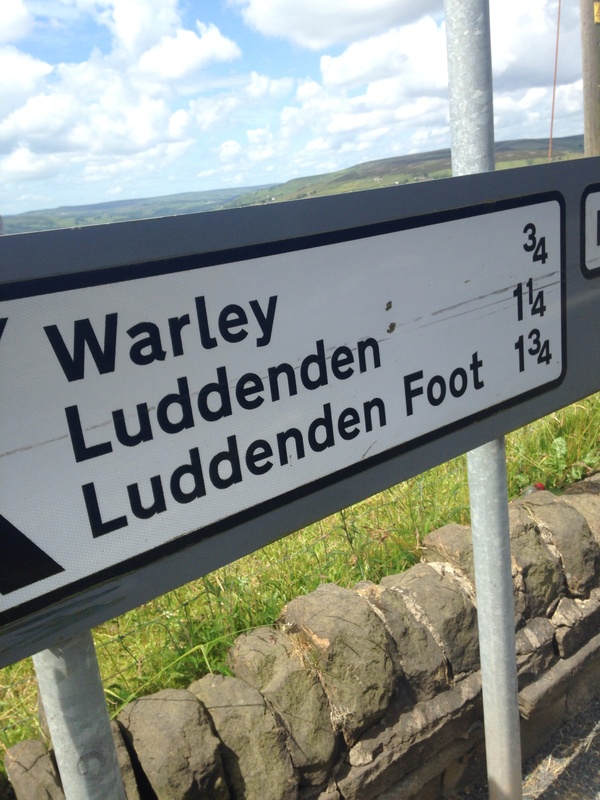 The names used in the area also suggest their link to the town’s history. 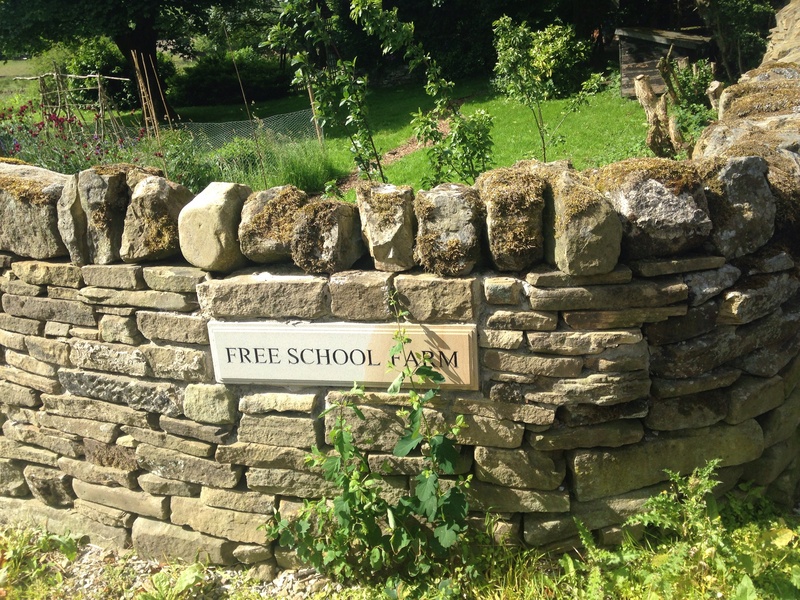 The Haworth Free School may once have welcomed Branwell into its tutelage, but for some reason – be it his highly strung personality, the mental or physical health issues that many now suggest that he had, or something else – he could only have attended for a few months before being withdrawn for home-schooling. 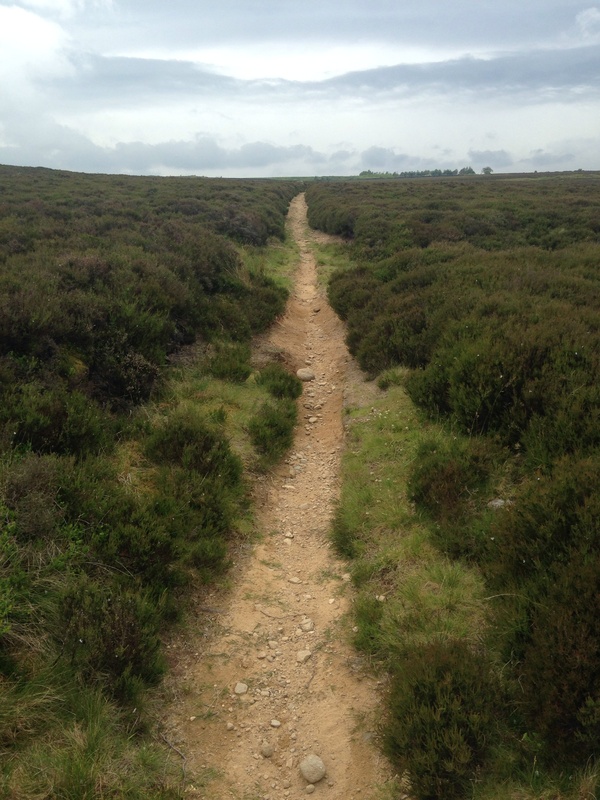 I got the chance once again to pass over the lovely West Yorkshire Moors, though the terrain wasn’t always on my side. Though I did make a couple of friends along the way. 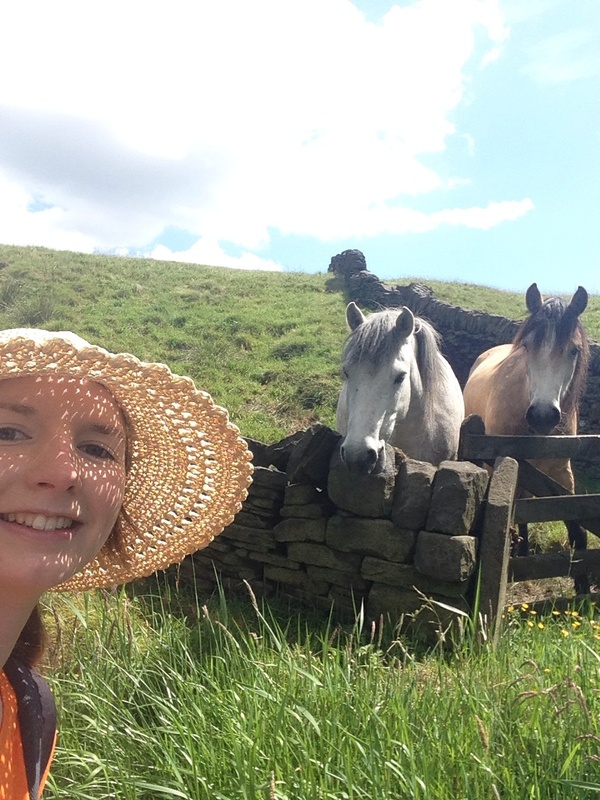 The locals of West Yorkshire are friendly whatever their species! As is always the way with the North, one kind of weather didn’t seem to be enough and, suddenly I found myself battling gale-force winds as I made my way through Wainstalls. Trivia: Caroline holds Grade 8 with distinction with the Associated Board of the Royal Schools of Music. Seriously. It’s on her Spotlight and everything. The fraud. Audience members were arriving a good fifteen minutes before the start, and, once I began, all seemed highly interested in the subject and started some really interesting discussions after the talk was finished. 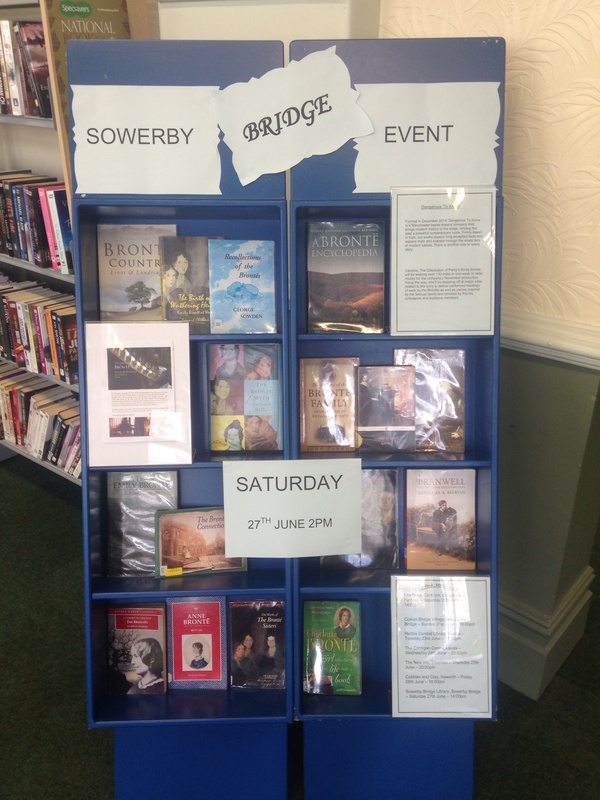 Sowerby Bridge library really seems a vital part of its community, and this seemed evident in the numbers that attended the event. At the end, I packed away my things with a degree of sadness, because, though I was looking forward to heading home for a good rest, I knew I would miss this project hugely. I hope to put on some more readings in the near future (there is one lined up for 8th July at 7:30, at the Kings Arms in Salford), but it was the combination of those and the walking that really made this an experience to remember. The adventure had also left its mark on my trainers, which evidently decided that enough was enough and have now been given last rites. 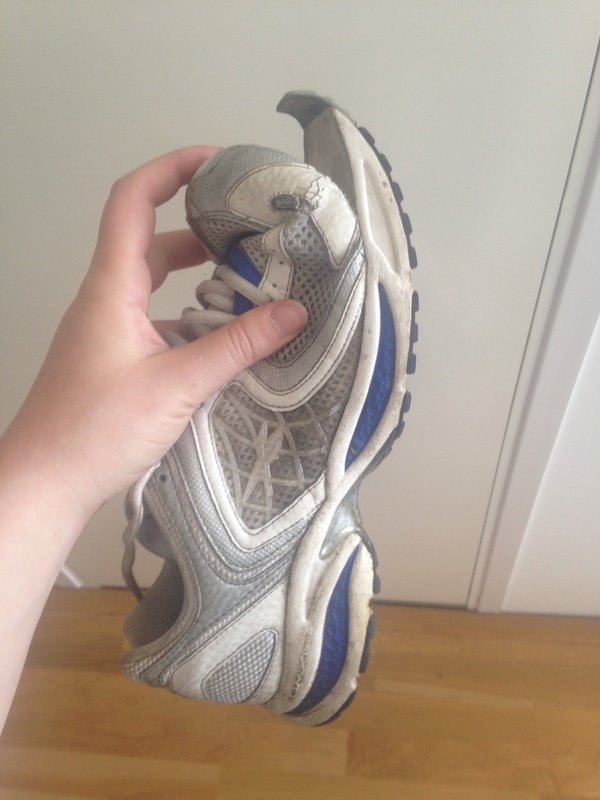 You have served me well, trainers. You will be remembered. So it’s over now! A few really exciting opportunities have arisen from this venture, and we have big plans for the next couple of months before The Dissolution Percy hits the stage at the Kings Arms in Salford from 4th – 7th November and for one night in Haworth at the Parkside Social Club on 14th November. So keep an eye on our website and Twitter feed (@DTKManc) for updates. In the meantime, please do take a look at the below link for The Dissolution of Percy‘s trailer, further information about the production, and for the chance to donate to our exciting new company! Please share the information wherever you can – any assistance is hugely appreciated. 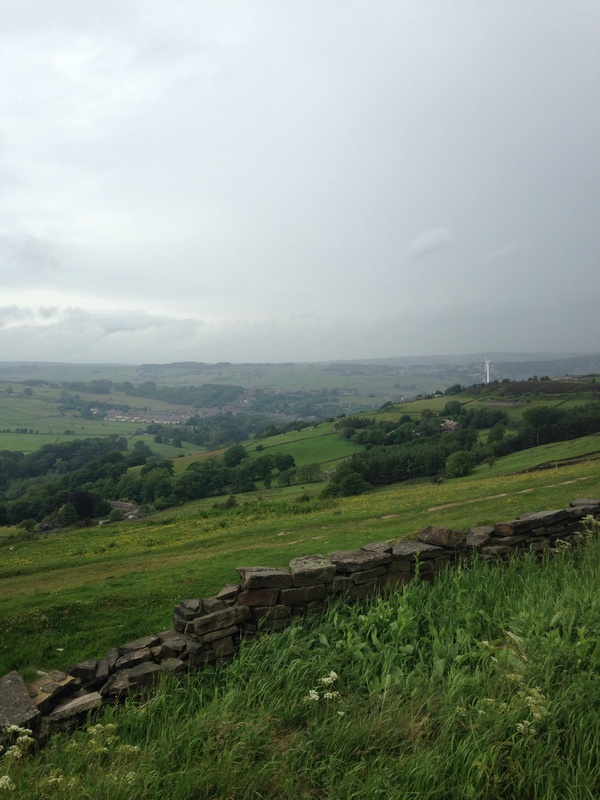 It was a rather grim start to the day, damp and overcast, but the walk was only a little over six miles in a straight line between Thornton and Haworth. Then I recalled that it was time to do a birthday shout-out for a certain someone. I wasn’t quite up for stopping off to buy 198 candles though. VIDEO: MANY (MANY) HAPPY RETURNS! 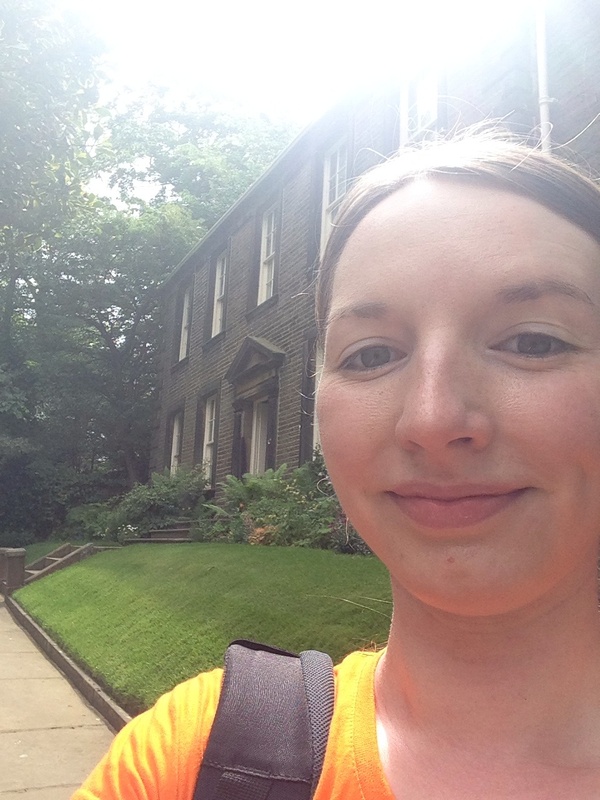 While the walk into Haworth was utterly gorgeous and highly atmospheric, it seemed so short compared with earlier treks that I could have blinked and missed it. 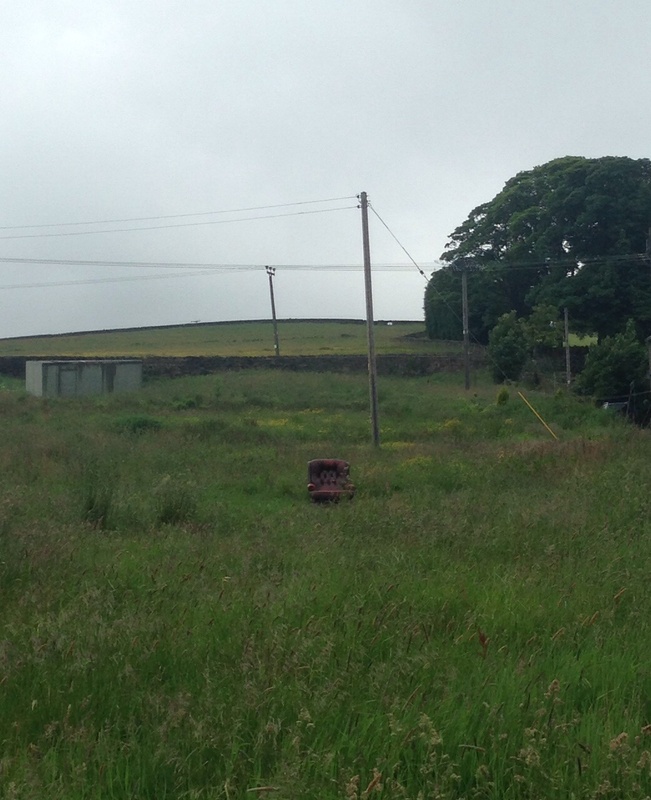 I did have time, however, to be substantially miffed by the sight of a lovely claret-leather chair sitting alone in a field. I’m sure we could have made use of it if no one had wanted it; it looked in decent nick! However, if a person had brought it out with thoughts of sitting and admiring the fabulous view, then kudos to them – I’d have done the same. 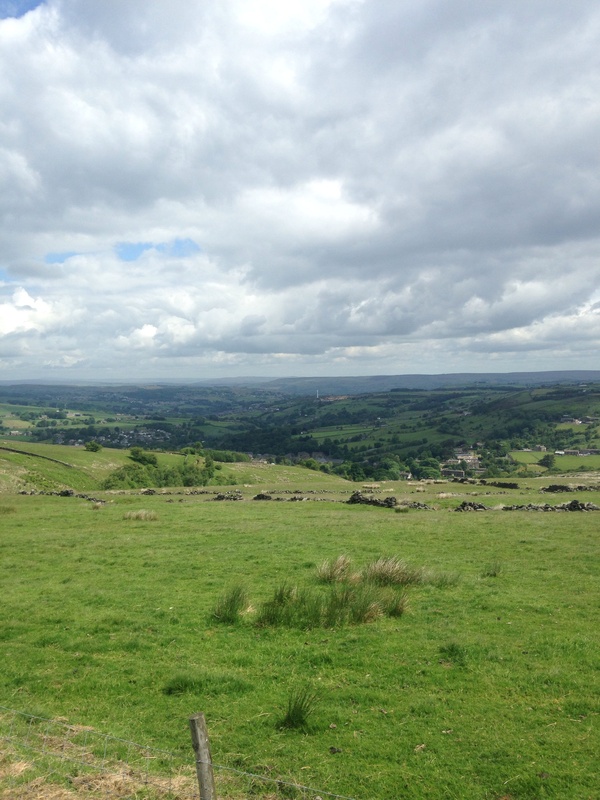 After a short time, I found myself skirting the moors, with a direct path over them to Haworth. I was far too tempted. I clambered off the road, and had a little peace and quiet amidst the scrubby heather and tussocks of grass. A little further along, a steam train puffed along the Worth Valley railway below me, and I went completely potty, scrambling to film. Sadly I failed. You’ll have to imagine it. But it was lovely. After admiring the bullet holes left in the church tower opposite by the wonderfully unique Reverend Patrick Brontë – who slept with a loaded pistol close at hand every night and discharged it out of the window every morning for safety’s sake – I had a poignant moment in the church where I paid my respects to the whole family, save Anne who was laid to rest in Scarborough. The talk, at the brilliant art cafe, Cobbles and Clay, was very well attended and the response was superb. The pieces that audience members donated to be read were of an extremely high standard as usual. 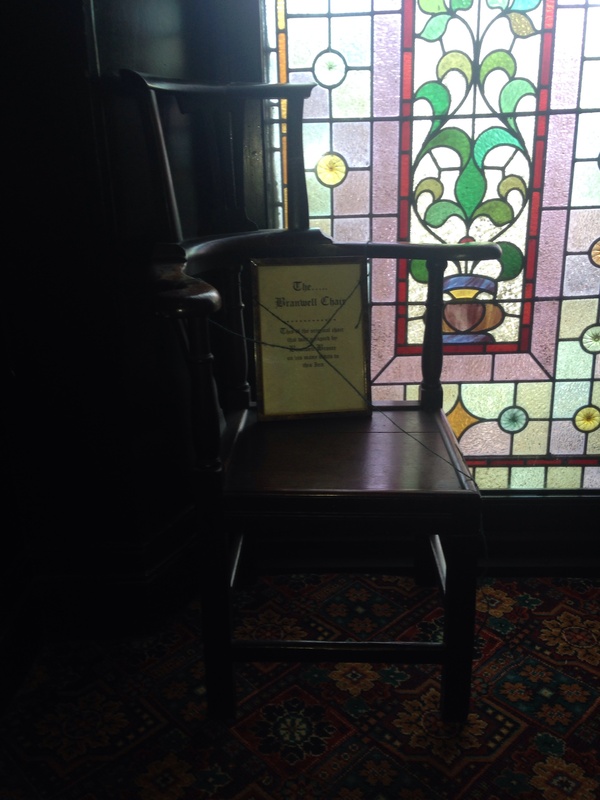 After a very nice chat with the attendees, I popped over to The Black Bull, famously Branwell’s preferred watering hole, for a respectful pint, and was pleased to see that his favourite chair, still in one piece almost one hundred and seventy years after his death, was on display partway up the stairs. 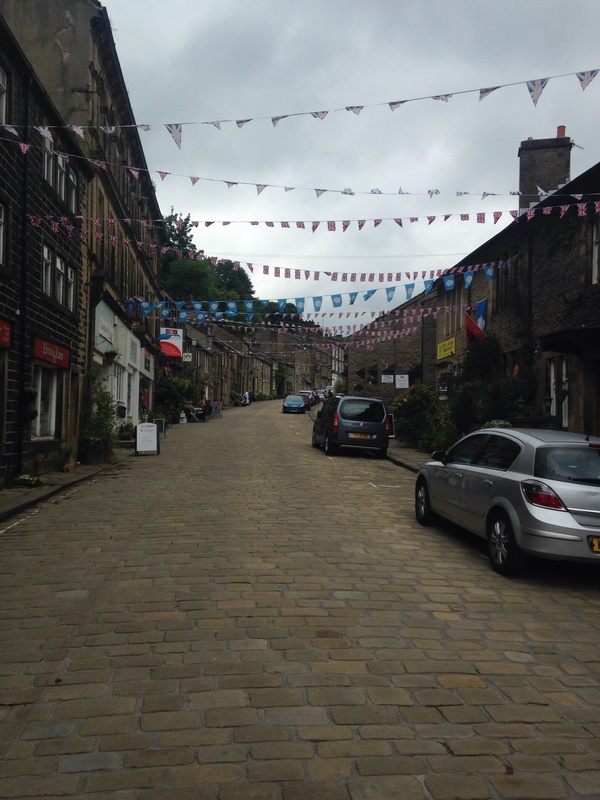 It’s hardly as if I’m a stranger to Haworth, but I very much enjoyed this visit – as I do all visits – to perhaps the most famous of my destinations. With tomorrow comes the final stretch to Sowerby Bridge, where Branwell worked as a clerk on the railway, before I return to Manchester and reality. I’ll be at Sowerby Bridge library at 2pm, and it would be fantastic to see this wonderful adventure off in style. The weather was absolutely fantastic today (the above photo perhaps not being the best evidence, but the sunburn on my forehead, ears and neck confirms it! ), and we chose a route away from main roads in order to enjoy a bit of quiet and to get a chance to take in the surrounding landscape. 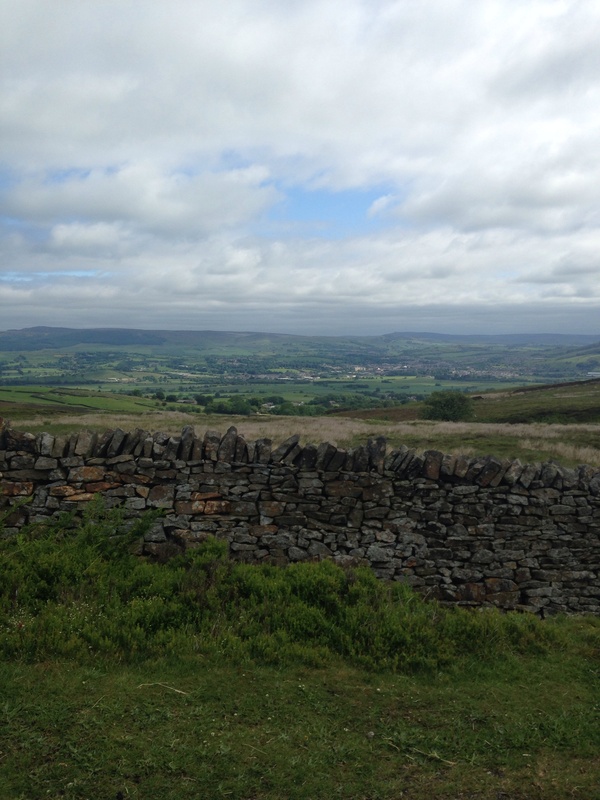 It was a little longer – around 27 miles in total – but it took us by Haworth and over the moors, through to Halifax. 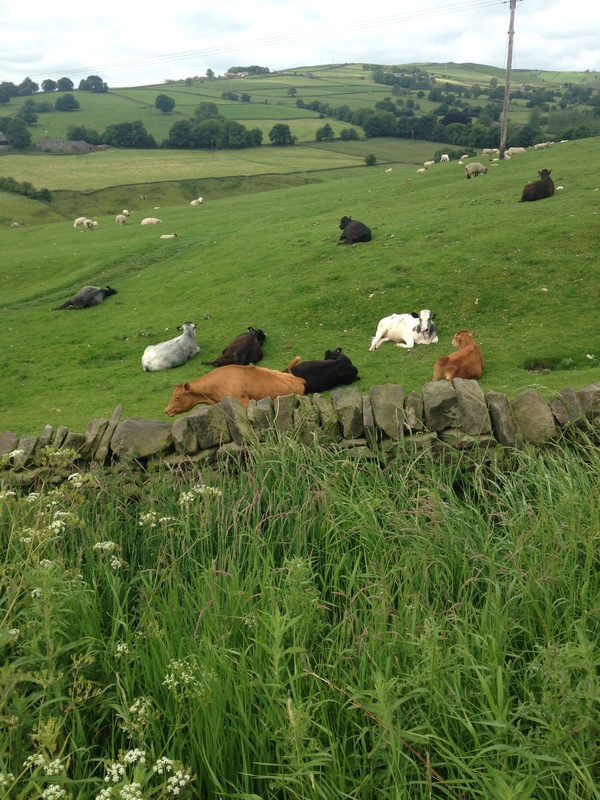 Alright for some… lazy cows. The views were stunning, and we enjoyed the opportunity to relax a bit, though we were still working to a time limit! 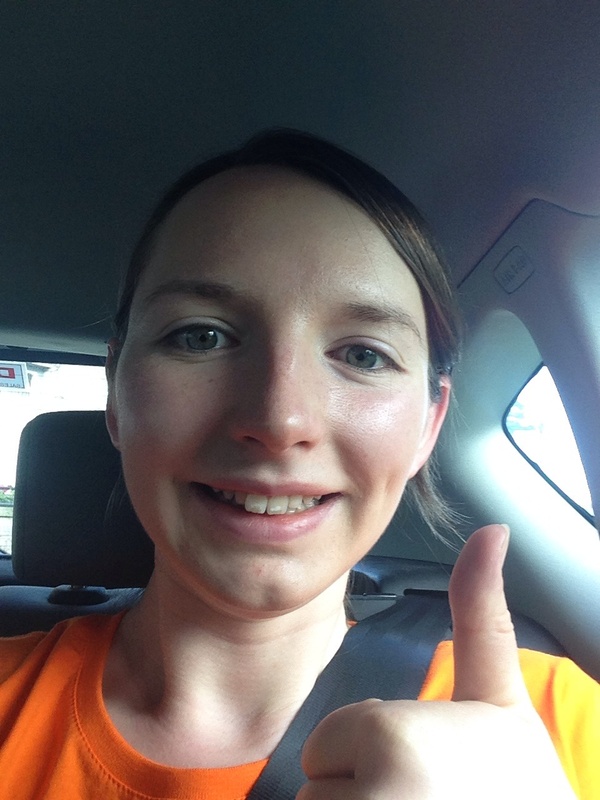 By the time we reached Halifax, we’d walked over 90 miles overall, so the tiredness really was kicking in! What a fantastic venue Halifax Library is, and what a lovely and receptive audience turned up! Many thanks must go out to the staff who not only worked hard to promote the event, but had chairs, teas and coffees set up for the attendees when we arrived. 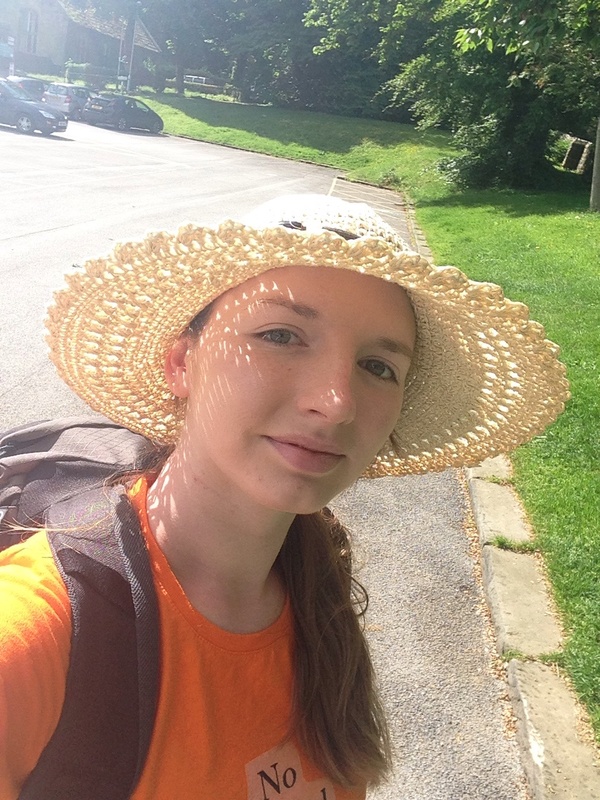 Today marks the end – I think – of the 20+ mile stretches. Tomorrow, we deliver readings at The Cardigan Centre in Headingley, Leeds, at 8pm, and we’d love to see you there! I can’t possibly close without thanking a very special member of my support team – my mum – who has worked twice as hard as I have; walking alongside me, planning and navigating the routes, listening with great patience to my incessant impromptu Brontë lectures… Time pressures have rendered it impossible for her to continue the journey with me, but we’ll check in frequently. A million thanks and lots of love! See the link below for details of how you can support our campaign. Watch the trailer for our production, The Dissolution of Percy, donate or share the information as you wish! Follow the company on Twitter (@DTKManc) and use the hashtag #nocowardsoulismine to tweet about this adventure!